According to origo.hu, the great spring parade of cyclists returned with a new course. 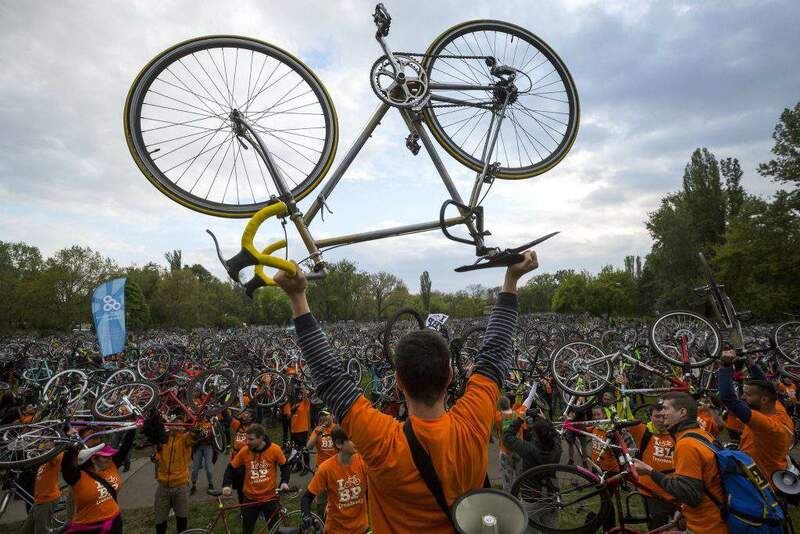 I Bike Budapest tries to follow the traditions of Critical Mass, which was held before 2013 in Budapest annually. The aim of the event is to popularize travelling by bicycle, and it also draws attention to the importance of developments related to cycling. 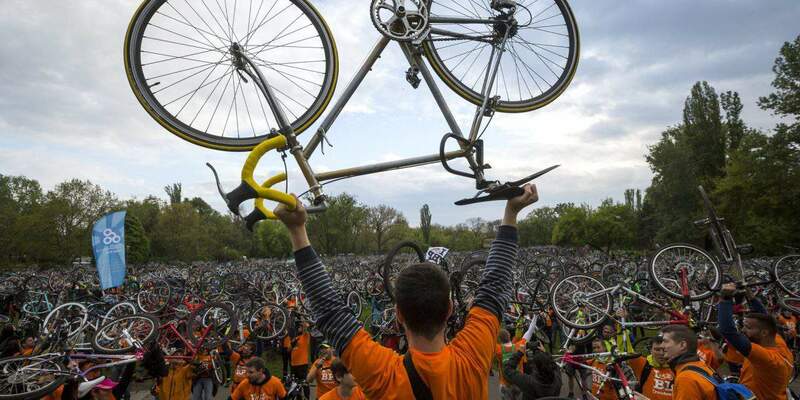 According to the hosts, approximately 10,000 people attended the cyclist parade of I Bike Budapest, despite the forecasts promising rain. 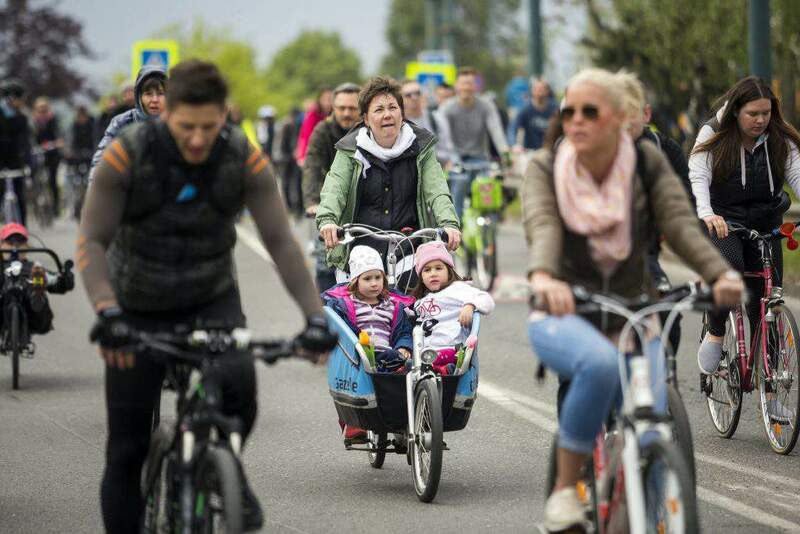 The hosts also told that cyclists also came to the streets in the countryside – in Debrecen, Szeged, Székesfehérvár and other cities – to highlight that the old and outdated cycle paths require repair in order to decrease urban traffic. 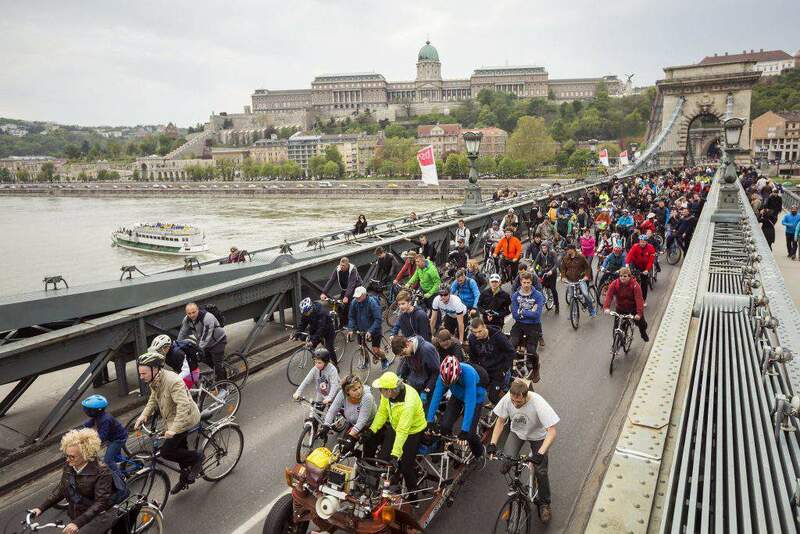 There were significant limitations of traffic on Saturday afternoon and evening because of I Bike Budapest. 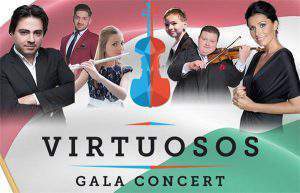 The attendants gathered from 3 pm in Szabadság square. 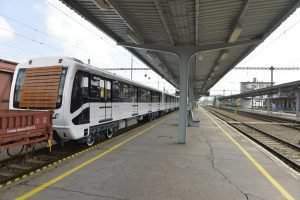 The parade started from Szabadság square and went through minor streets on the lower embarkment, through Közraktár Street, Petőfi Bridge, Irinyi József Street and Karinthy Frigyes Street to Móricz Zsigmond Circus. From that pont, it continued to Bartók Béla Street, Szent Gellért embarkment, Attila Street, through the Castle Tunnel and Chain Bridge to Széchenyi István Square, then through József Attila Street, Andrássy Street and Heroes’ Square they arrived at Városliget. Hungarian Cyclists’ Club organized the parade along this course because these are the parts of the city which needs some development concerning cycle paths, and the already existing paths also require repair.